World Championships 2013 in draughts-64 among men and women (Russian version) was held in St. Petersburg, Russia, from August 4 (arrival day) to August 14 (departure day), 2013. Nikolay Struchkov became World Champion among men! Zhanna Sarshaeva became World Champion among women! See results, photo and other information. You can see information about Championship on the site www.wc64.org as well. 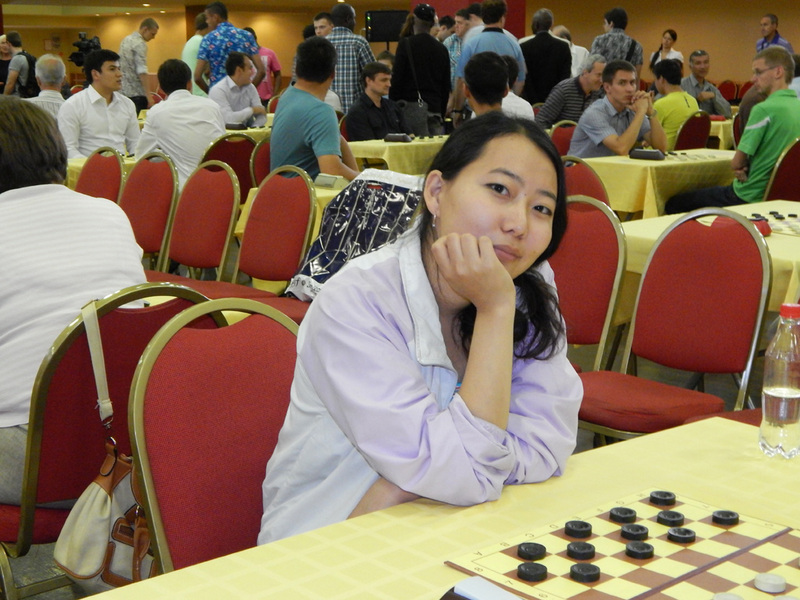 Zhanna Sarshaeva won in the final round at the Victoria Motrichko and became World Champion among women! Stepanida Kirillina took second place and Yulia Makarenkova took third place. Nikolay Struchkov became World Champion among men! 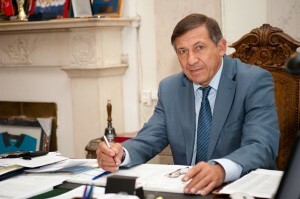 Gavril Kolesov took second place and Vladimir Egorov took third place. 7 and 8 round was held today. Before the last round in men with a score of 12 points still leads Nicholay Struchkov. 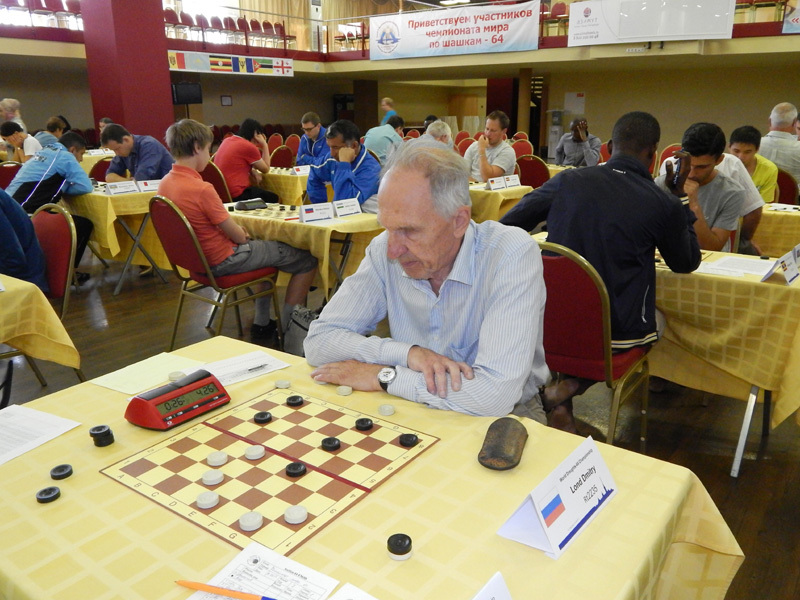 Vladimir Egorov, Gavril Kolesov, Andrey Valyuk and Oleg Dashkov with the result of 11 points shared 2-5 place. 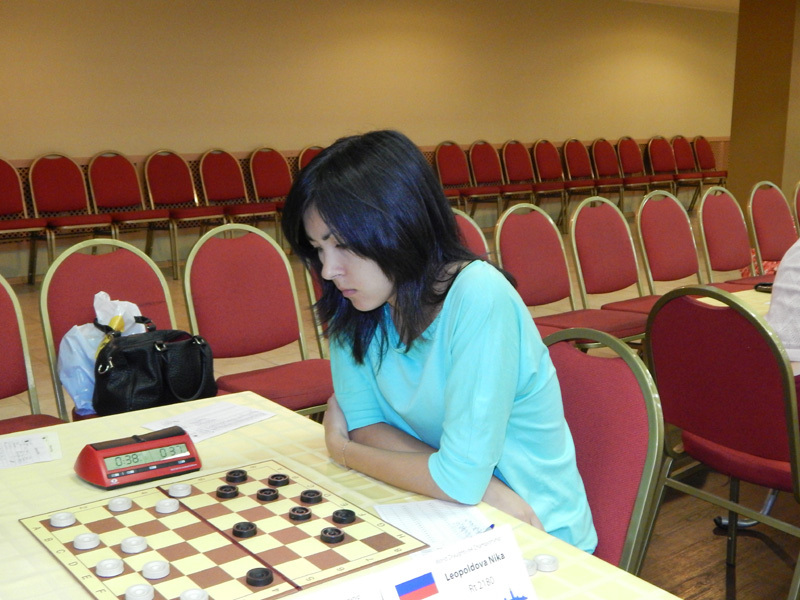 Stepanida Kirillina and Zhanna Sarshaeva lead in women tournament with a score of 12 points. Yulia Makarenkova and Victoria Motrichko divide 3-4 place with 11 points. Round 6 was held today. Nikolay Struchkov won grandmaster Vladimir Skrabov and leading in the men tournament with a score of 10 points. Oleg Dashkov and Andrey Valyuk won in the 6th round, too. They and Vladimir Egorov have 9 points. In the women’s tournament after 6 rounds Nika Leopoldova, Stepanida Kirillina and Zhanna Sarshaeva lead with a score of 9 points. The 5th round was held today. 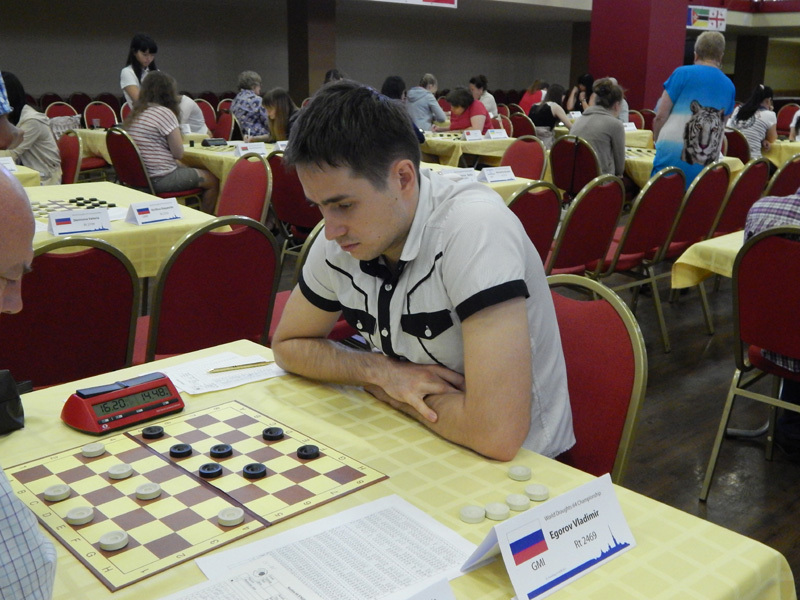 In the men’s tournament Vladimir Egorov won Andrey Kybartas and caught up leader Nikolay Struchkov. 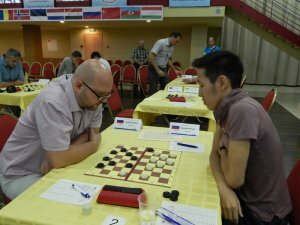 After 5 rounds Nikolay Struchkov and Vladimir Egorov head standings with a score of 8 points. 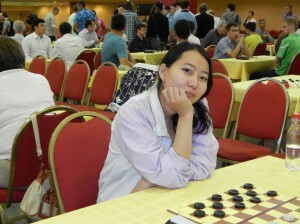 In the women’s tournament Nika Leopoldova included in a group of leaders, winning Sofia Morozova. After 5 rounds Nika Leopoldova, Stepanida Kirillina and Zhanna Sarshaeva lead with a score of 8 points. Round 4 was held today. Nikolay Struchkov won seven-time world champion Gavril Kolesov and with a score of 7 points became the sole leader among men. Stepanida Kirillina won a very important game of Yulia Makarenkova. Zhanna Sarshaeva won Sofia Morozova. They lead after 4 rounds with a score of 7 points among women. 2 rounds are today. In the second round Vladimir Egorov and Nikolai Struchkov won a major victory over Sergei Boiko and Dmitry Abarinov respectively. They led after 2 rounds among men with a score of 4 points. Zhanna Sarshaeva, Julia Makarenkova and Sofia Morozova lead among women with a score of 4 points. Gavril Kolesov, Andrius Kibartas, Vladimir Skrabov won in the third round, while Vladimir Egorov and Nikolai Struchkov played each other in a draw. Thus after the third round 5 people with a score of 5 points from 6 led the standings. In women after 3 rounds with a score of 5 points of 6 still lead Zhanna Sarshaeva, Julia Makarenkova, Sofia Morozova and catch up with them Stepanida Kirillina, who won in the 3rd round with Ekaterina Ivanova. Classic program started today. Unusual results happened in the first round. 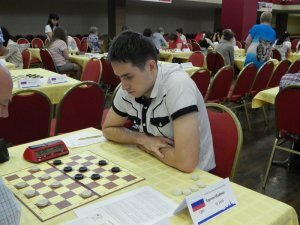 Gavril Kolesov lost the first game of micro-match veteran of draughts from St. Petersburg Dmitry Lond. He was able to win in the second game only in the end of the party. 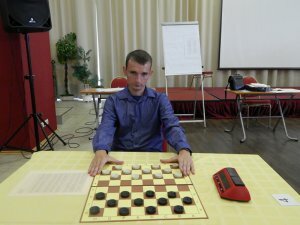 Belosheev Sergey and Vladimir Skrabov could not win Mikhail Kiselyov and Novickis Edijus respectively. The other strong players won their rivals. 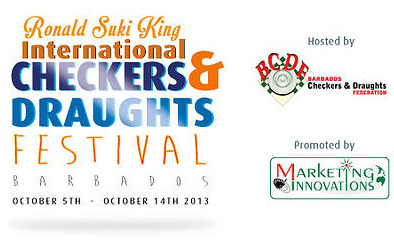 The opening ceremony was held today at 12.00.
welcomed the participants of the championship. 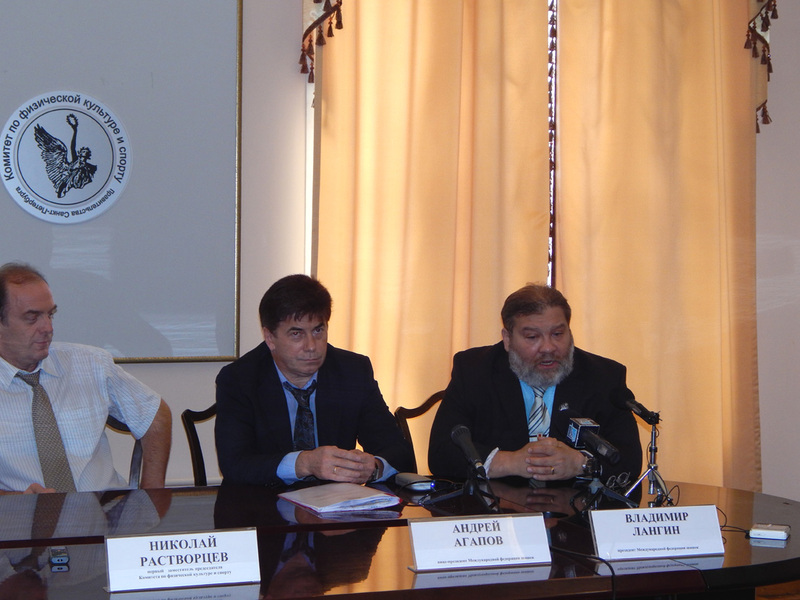 Press conference dedicated to the World Championship in draughts-64 was held July 31 at the Olympic Hall of the Committee for Physical Culture and Sports of St. Petersburg. Representatives of the sports committee, the president of the International Draughts Federation Vladimir Langin, a representative of the Organizing Committee, vice-president of the International Draughts Federation Andrey Agapov, multiple champion and winner of Junior World and European Championships, sports master Ekaterina Ivanova took part in the press conference. 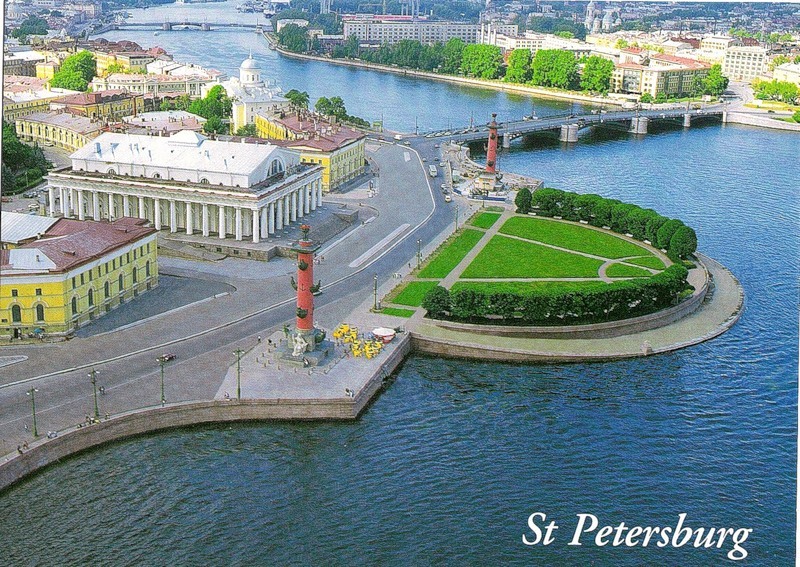 I welcome you in St. Petersburg — the city with the rich traditions of draughts! Draughts movement of Russia began in St. Petersburg. There was published the first book on the draughts. 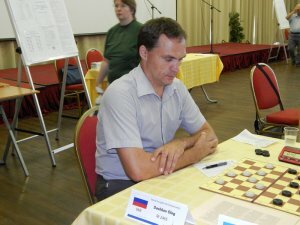 St. Petersburg and Leningrad draughts players have added many glorious pages in the history of draughts sport. 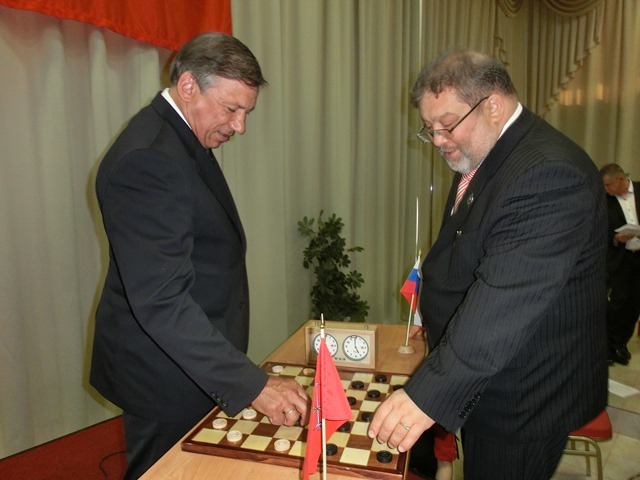 St. Petersburg has a lot of experience of the draughts tournaments on the highest level, including the World Championships. 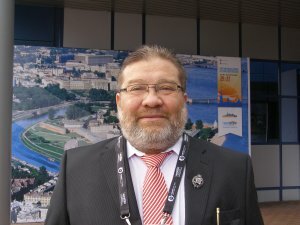 I am confident that the World Championship 2013 will take place in the fascinating, exciting fight and the best players will win, and draughts on the 64-cell board will receive a powerful impetus to its development in the various countries of the world. I wish all participants the major sporting and creative achievements! I am glad to welcome in St. Petersburg organizers and participants of the World Draughts Championship 2013. Draughts has always been popular in Russia, and especially on the banks of the Neva. The founder of the city the Great Peter liked this interesting game. 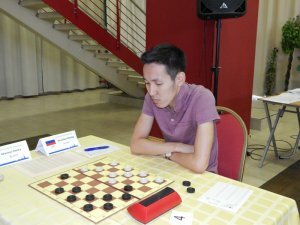 Over the years, Leningrad — St. Petersburg draughts players won titles of champion in the world, Europe, the USSR and Russia. Tournaments of the highest international level are held regularly in the northern capital of Russia. I am confident that the competition will be held in a fair and uncompromising struggle, and the holders of highest world title will be, indeed, the strongest masters of draughts. I wish all the participants of the world championship interesting and creative finds, brilliant victories and new sporting achievements! World Draughts-64 Championships 2013 among men and women (Russian version) are held from 04 (arrival day) to 14 August (departure day), 2013 at the hotel «Azimut Hotel Saint-Petersburg» in conference room «Soviet», at: Russia, Saint-Petersburg, Lermontovsky 43/1, Site www.otel-azimut.ru The prize fund will be the biggest in the history of draughts-64 — at least 2 000 000 RUB (50 000 EUR).